Author David VekslerPosted on April 27, 2017 September 15, 2018 Categories UncategorizedLeave a comment on What is FEE’s digital marketing strategy? Website visits to specific domains or web pages. 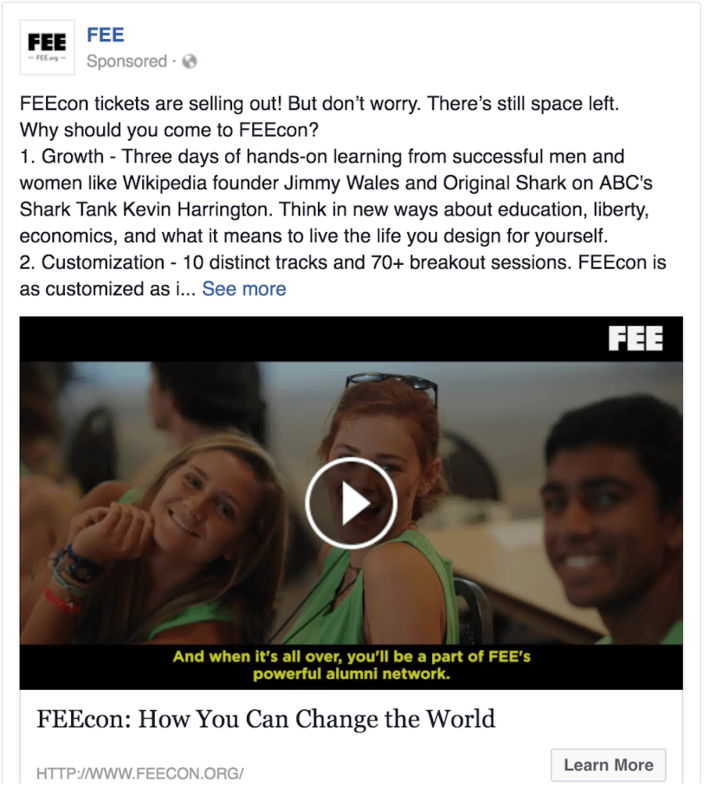 For this example, we are tracking visits to http://www.feecon.org/ via a Facebook Pixel tracking cookie. Some of our website audience originates on other organizations’ websites and are anonymously shared with us. Online and offline transactions. If you purchase something from our store, register for an event, or make a donation, you’ll eventually be imported as a Custom Audience for retargeting. 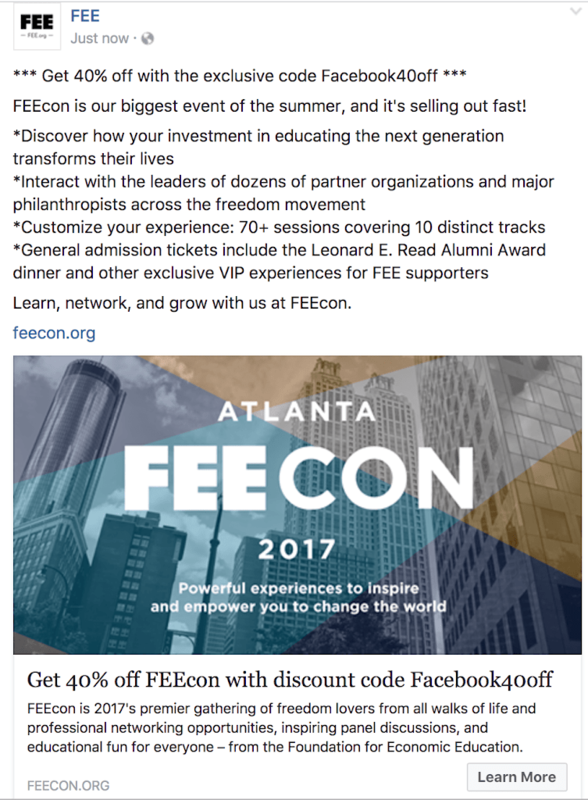 We’ve created a custom audience of FEEcon.org visitors, but we don’t necessarily want every visitor in the audience to see our ads. 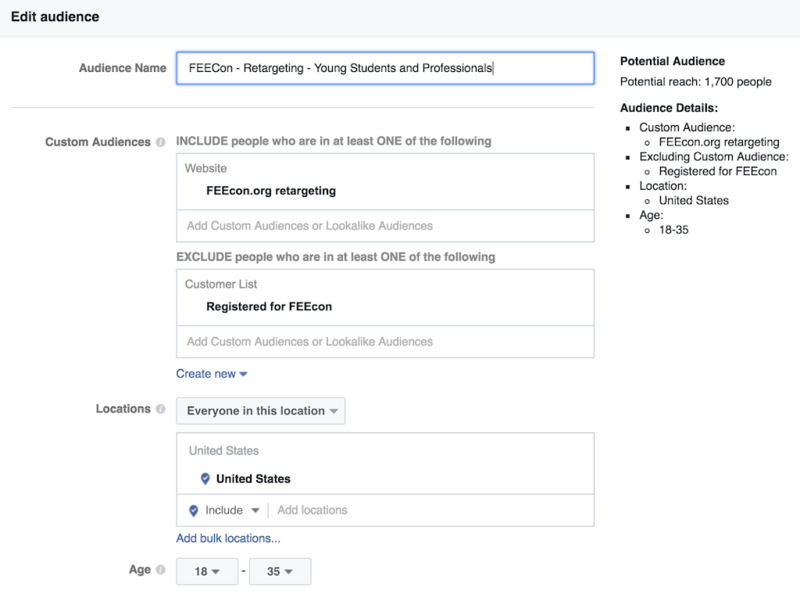 In this step, we’ll exclude people who have already registered for FEEcon, and set an age range so we can create different ad sets based on age. Below, we’ve included all FEE.org visitors, and excluded everyone who’s already registered and does not match the specified age range. Now that we have the target audience defined, we can use it in ads sets. I suggest that you create audiences before you create ads. You don’t want to spent a lot of time creating an ad only to learn that Facebook (or Twitter, etc) either cannot target the audience, or that it is too small. Retarget them with an ad reminding them about what they saw. First, retargeting optimizes the return of our ad spend. Given a target audience, only 5% might be interested in the product we are trying to sell. We want to identify that 5% and spend much more effort converting them than the 95% who are not interested. Second, retargeting allows for creating a conversion funnel. People who are seeing our product for the first time should get a different message than those who are already familiar with it. In the ad for the first time visitor, I can direct them to more information, while the retargeted audience is already familiar with the product and can be asked to purchase it or offered a discount (since I can also exclude people who have already bought tickets). The goal of this project was to see if we could effectively market our content to an audience outside our core demographic in a data-driven manner. We picked this video as the test subject. The success of this experiment validated our strategy for the YEAR project. Identify which of the target personas our list resonates with the most. We reviewed the video and discussed what kinds of audiences would engage with it. We excluded Donors from the additional placement test, this left us with creating 12 ad sets (4 placements x 3 audiences, each containing 1 ad). In terms of placement, we saw that ads with the YouTube link, FEE.org article, and in-ad content were not responding at all. The per-engagement maximum was set at 15 cents, and there were only 1-4 engagements out of 40+ reach. Cost per engagement was 3-14 cents. 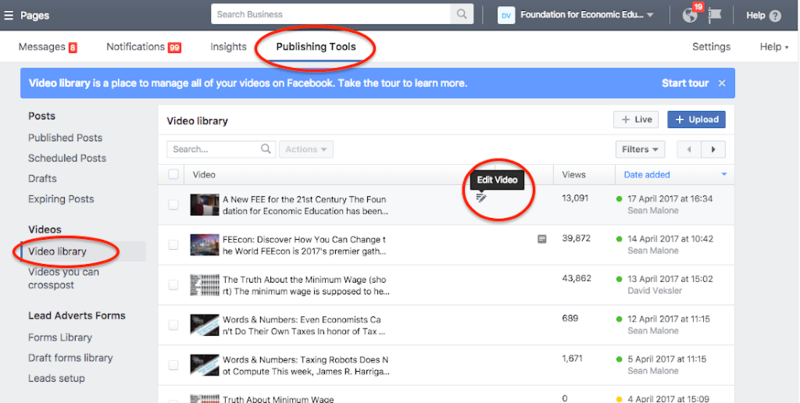 Once we changed format to Facebook-hosted video, reach and results immediately took off, at 1 cent per engagement. Across all metrics, “Black Entrepreneurship” outperformed other audiences. Donors also performed well, as expected. Based on the first day, we decided to boost “Black Entrepreneurship” to $100 per day and “FEE Donors” to $30 per day. All other ad sets (and audiences) were stopped. $440 was spent boosting this video, with $38 used for the first day of calibration, and the rest directly on the selected audiences. A total of 322,000 people were reached. 178,000 of those were from direct paid reach, while the rest were organic. However, once advertising stopped, video views dropped for 30,000+ per day to well under 1,000. The majority of organic views originated from people who saw the ad. After the ad campaign ended, organic views dropped rapidly from over 10,000 to a few hundred (see below). This video is not effective with our existing audience, and did not have a lot of organic momentum. There were a total of 111,000 video views, and 8,000 reactions. Each dollar thus generated 252 views and 18 likes. Cost per 1000 impressions was $1.50 for the “Black Entrepreneurship” audience and $8.03 for the donor audience. How to measure the value of paid ad exposure? Book sales? Shares? Organic uplift? Are paid views as such worthwhile? Given that our existing audience was not the most responsive to this video, and given that we were attempting to target groups outside of our core user base, is it possible that we need to reach a larger number of people with paid views in order to reach some unknown saturation point that will spark more organic growth? In other words, do we need to spend a lot more money before network effects will take over? Once we’ve effectively identified an audience target through testing, would different means to reach those audiences be more effective than paid social media ads? For example, should we have planned an advertising strategy that included direct outreach to major audience influencers around Black Entrepreneurship, such as Daymond John? Targeting segments effectively requires testing different audiences. We can effectively boost content to new demographics and even get them to buy products, but converting them to returning visitors will require a new strategy. We need a clear call to action for ads to measure effectiveness and extract value. 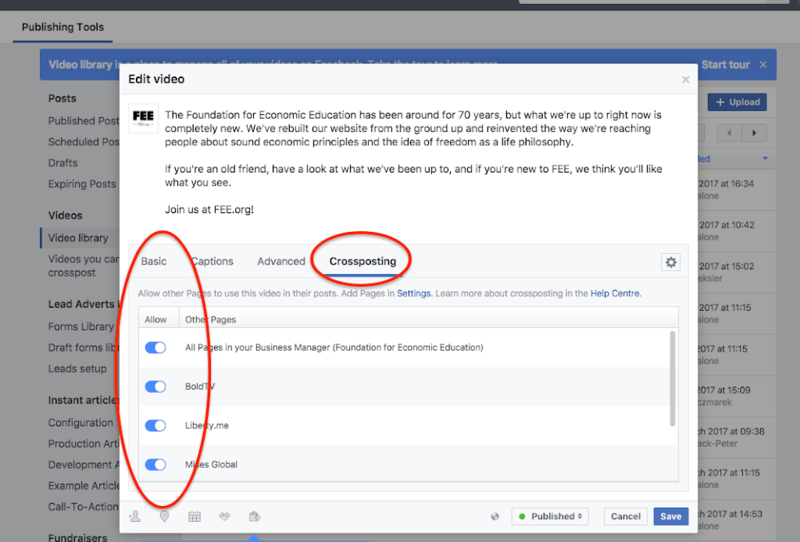 Let’s talk about five principles that help the marketing team at the Foundation for Economic Education (FEE) communicate more effectively with our customers. Every message should clearly communicate the value our customer will gain from the product we are selling. Who are they? What do they care about? What do we have that they will value? Split our customers into three groups: college students, young professionals, and older supporters of FEE. Brainstormed the values that each group gets from attending FEEcon. From these values, we identified 4-5 value propositions for each group. These value propositions inform all the messaging that we create for this product, whether the medium is an article, email, or Facebook ad. The motto of FEE’s marketing process is “Always Be Closing.” Everything we do as marketers is designed to move our customer further toward closing the deal. Every message we make, be it a landing page, email, SMS, facebook ad, flier, whatever, asks the customer to take an action that moves them further down the conversion funnel. Each marketing communication has to have a large, prominent request to take a single action which will give the customer some sort of value. This doesn’t mean that every marketing message has to ask for a deep commitment. We have a conversion funnel for each customer person which consists of a series of small messages. If we want students to apply for a three-day seminar, we first ask for their email so we can send them a free book or guide. The goal of each communication is to deepen awareness of our products and lower the barriers they have to the next step. The essence of our communications strategy is to make every message we send feel like it was written just for you by a real human being who cares about your concerns and is eagerly awaiting a reply, then use marketing automation to scale up that personal feel to thousands of people. A. Every email comes from a real human being. We don’t use any [email protected], [email protected] or [email protected] emails. This includes transactional emails such as payments, registrations, reminders, etc. C. We sign all emails with our name just as we do with our personal mail. D. We use plain text format whenever possible, especially if we expect a reply. When we use CRM tools to target messages, we export the names into Gmail or send a plain text message whenever we can. Marketing messages sent in plain text from Gmail avoid both the junk mail and the “Promotions” folder. E. We make messages short and to the point. Because we can speak directly to the recipients values, we can offer something that we know they’ll care about and don’t have to waste space addressing everyone. It’s easy to say that every message should push the customer down the sales funnel. The hard part is to track who each customer is, and where they are in their journey. 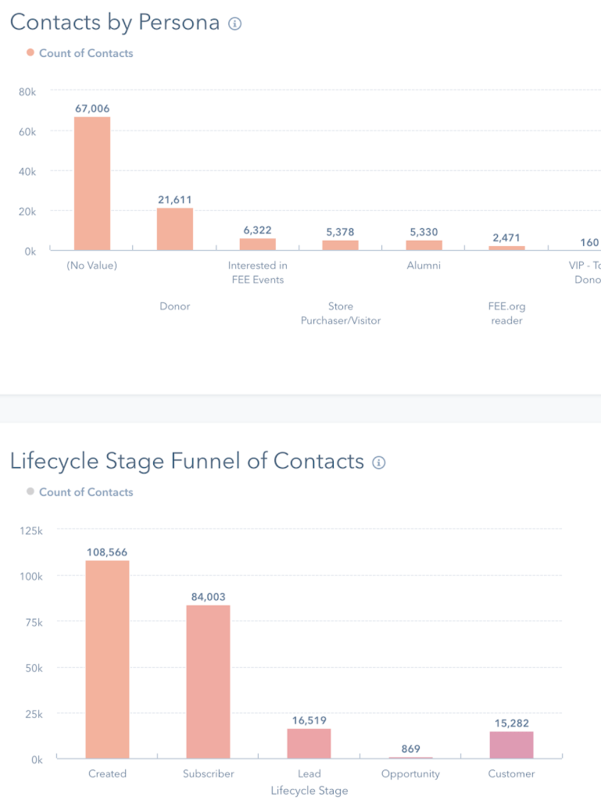 At FEE, we use HubSpot to split our users into a lifecycle stage funnel (lead, subscriber, opportunity, customer) and a customer persona (college student, parent, interested donor, casual reader, etc). HubSpot tracks every visitor’s web and email interactions, and dozens of workflows use specific triggers, e.g., visiting the donate page recently, to classify people into personas based on recent behavior. This allows us to tailor messages to the specific customer profile and offer them a product that we think they are most likely to be interested in. This minimizes our unsubscribe rates and keeps followers interested in our content. Additionally, we make heavy use of retargeting for our advertising. 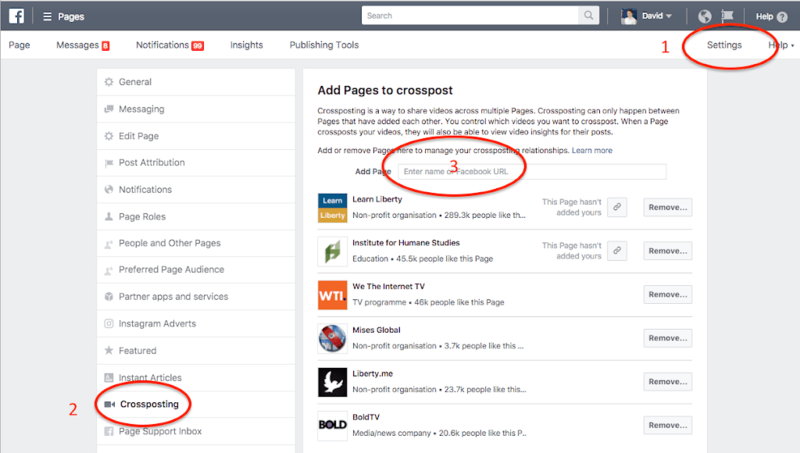 We show Facebook and Twitter ads based on specific pages people visit. 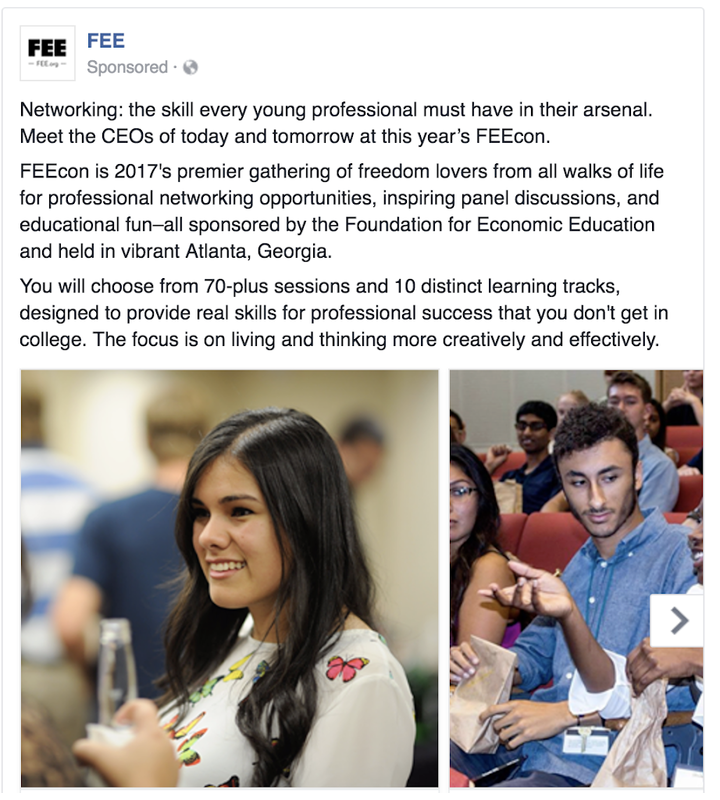 If you’ve visited FEEcon.org recently, you’ll start seeing more FEEcon ads in your Facebook feed until you register, which will switch you from our “promotion” (please register) to the “nurture” campaign (please share this with your friends). If you’re not on our daily email list, you’ll see a lead form in your feed, otherwise, you might see donor messaging if you’re a heavy user of the site. We build workflows which capture the most effective strategies and automate them for each customer journey. We use HubSpot to build one or more workflow for each product which contain a series of calls to action, triggers, messages and rules. First we capture leads with a CTA on a website or ad, then we enroll customers in a workflow and nurture them until they convert (buy the product, register for an event, donate to us). This enrolls them in a new workflow which is designed to deepen their commitment and cross-sell other products, starting the process over again. I’m not categorically opposed to life (and most other kinds of) insurance, but if you follow good financial practices, you’re better off self-insuring. Self-insurance is essentially the idea that you assume a risk instead of paying an insurance company for the service, either by not taking out the policy at all, or selecting a high-deductible. This requires financial discipline and planning to keep sufficient savings to pay for emergencies. Here are my thoughts on why insurance doesn’t make sense in most cases. I’ll focus on life insurance, but it applies to many others. The Smith family has a single income of $100K/year, two small children, and Mrs. Smith has limited means to replace the lost income if Mr. Smith dies. They have $5K in the bank. In this case, term life insurance is a very good idea, for reasons which I hope are obvious: if Mr. Smith dies, the quality of life for Mrs. Smith and kids will be significantly diminished. If Mr. Smith has a well-paying job, it probably comes with some disability/death benefits. Mrs. Smith will also get his social security benefits. It will be a fraction of their former earnings, but a non-trivial portion of a typical families expenses are work-related. Mrs. Smith will also qualify for several government programs (WIC, school lunch, etc). Possibly they have relatives who might help. While life insurance payouts are not taxable, it may affect your ability to receive other benefits, so the calculation is not as simple as it may seem. There are probably tens of millions of American families in this general situation. Yet only 44% of households have life insurance, and many don’t have enough. Why? Because if you only have $5K in the bank (most Americans have very little savings and millennials have a negative savings rate), you probably have bad financial habits, and limited means to have another monthly expense. If you are single, there is no point in life insurance. Buying life insurance, in this case, is equivalent to your beneficiary (let’s say girlfriend or parents) playing the lottery on your life. While the odds are probably better than the government lottery (your chance of dying in the next year in your 20’s or 30’s are about 1/2000, whereas the chance of winning millions in a lottery are 1/185 million), it’s a lot less somber. If you’re married and both spouses have similar earning capacity (even if both are not currently working), again, there is little point — your quality of life will not change dramatically if you partner dies. If you are married with dependents, have very different earning capacity, but have sufficient savings to recover earning capacity, again life insurance is not needed. Unless you have six kids, you only need enough savings to rebuild your ability to support your family. If you’re too poor to build sufficient savings to recover from the death of a spouse, you’re probably poor enough that a single income will not dramatically affect the quality of life, and can’t afford life insurance anyway. If you have sufficient earnings to afford insurance but are too financially irresponsible to save for disaster, then you may need insurance, but you’re probably not reading this, and may not have the budget to pay for insurance. 1 is flawed because most adults do have the ability to develop marketable skills. 3 instead of trying to patch over bad money habits with insurance (and especially whole life insurance), advisors should help you save more and build additional income streams through your investments. Instead of overmedicating to cover up the symptoms of an unhealthy money habit, good financial advice should help you adopt good financial practices that would make the medicine with dangerous side effects (more on this below) unnecessary. Max out your savings rate at about 50%. This should give you a cushion of $100K going into your marriage — hopefully, both partners have something to contribute to your net worth. In the first few years of marriage, you should maintain dual incomes and build your nest egg at least until you decide to have children. If you have kids around age 30, you should have a solid 8-10 years of savings — enough to build a portfolio of $300K. Let’s say the mom decides to be a full-time parent. By your mid 30’s, if you have multiple kids, your savings rate will drop to 20-30%, but 20 years of savings and compound interest should give you a net worth of at least half a million. This, combined the social security and work benefits becomes your insurance policy. Buying additional life insurance is thus unnecessary because each spouse has enough cushion to preserve most of their quality of life and/or recover earning capacity. For everyone else, investing their money in the market makes a lot more sense. You can invest up to $55K per year in tax-advantaged or tax-deferred investments. A properly diversified portfolio will return about 12% (pre tax, pre-inflation). Ask an insurance salesperson for the yield for whole life insurance. They’ve intentionally made the product so complicated (with lots of hidden fees) that they won’t be able to compare it the yield of traditional investments. What the insurance company is doing behind the scenes to make a profit on your money is locking it in various ultra-safe (aka low yield) bonds and giving you a fraction of the return. Those bonds return a maximum of about 5%, and you get a portion of that. You’d do much better separating your insurance and investment needs, especially since a young professional should have a high-risk stock-based portfolio. If an advisor scares you with the uncertainty of stock markets, remember that there is No Free Lunch. Guaranteed returns mean low returns. Less risk means less profits. Take your risks while you are young and retire rich. See my post for simple, low-cost investment options.